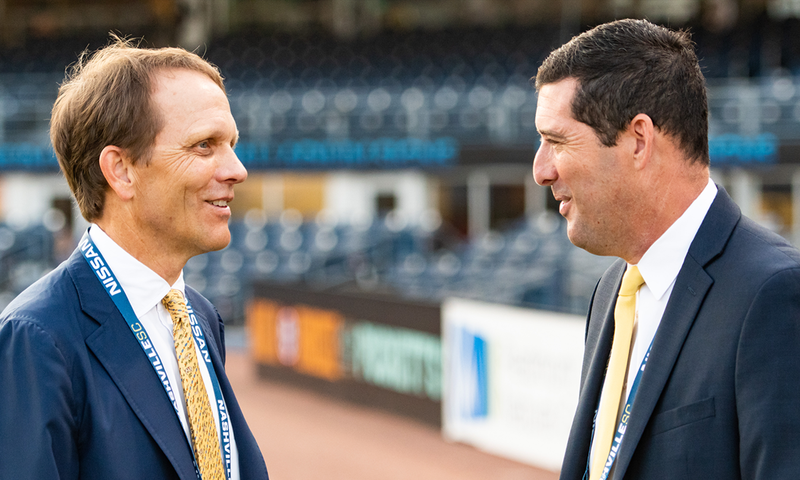 With the 2019 MLS SuperDraft on Friday in Chicago, NashvilleSC.com sat down with Nashville MLS General manager Mike Jacobs, who will be in attendance at the draft, for a Q&A about what the SuperDraft is, and how it will affect Nashville MLS next season. NashvilleSC.com: What is the MLS SuperDraft? Is the MLS SuperDraft a draft like the NFL or NBA draft where potential picks show up to be selected? Can a team trade its SuperDraft picks? What players are eligible for the SuperDraft? Where will Nashville pick in the Super Draft next year? “Nashville will pick either first or second in the 2020 SuperDraft. Between Nashville and Miami as expansion teams, there will likely be a coin toss to decide who picks first. There is a romanticism with having the first pick, you can pick any player you want and don’t have any one picking before you. We feel fortunate to have the chance to pick first or second, but we woud love to have the No. 1 overall pick. What type of players do most GMs target in the SuperDraft? Who are some of the best players to come out of the MLS SuperDraft? What do you hope to gain by being at the MLS SuperDraft this season?